Hello, and happy World Poetry Day to all of you! Wait — what? Don’t tell me you forgot! Never fear — I’ve posted a poem for you here, just in time for you to take part in the fun! 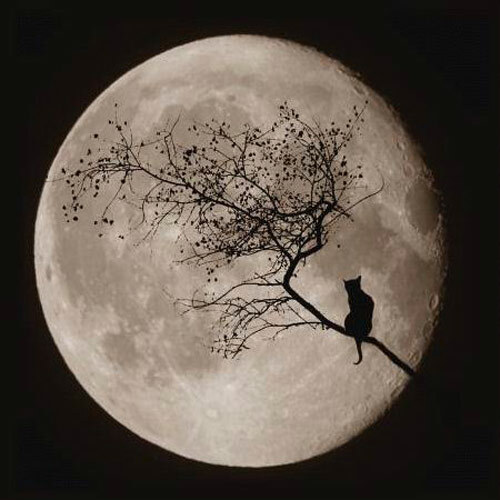 Below is W. B. Yeats’ poem, The Cat and the Moon. This poem is the reason why people name their cats Minnaloushe. I love the odd rhythm of this one. It reminds me of just how cats move: one minute there is a smooth cadence to their steps, and then they unexpectedly stop short, and twitch their ears. Awesome. Thanks for reminding us of World Poetry Day! I’m putting up my tree tonight. :)))))))) Miss ya.